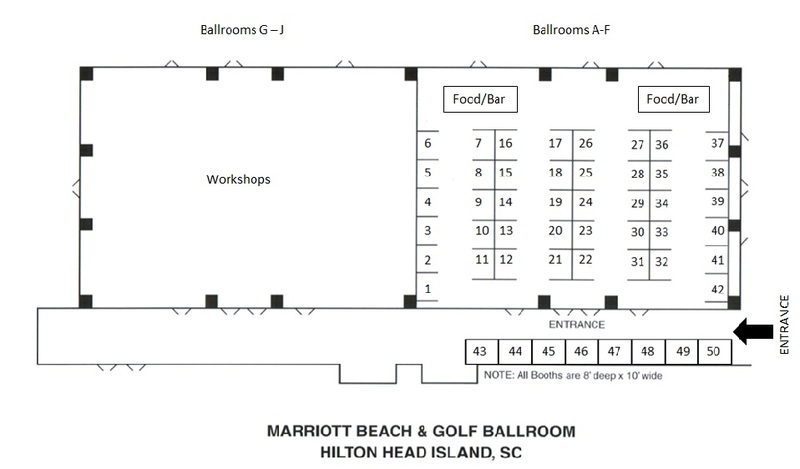 The fee includes an 8’ x 10’ carpeted space with pipe and drape, one skirted 6’ table with two chairs, one exhibit hall pass, your company contact information in the conference program, a one-year listing on the Virtual Exhibitor page of the SESWA website, your company logo/link on the Conference Exhibitor page, and a final list of attendees. Gold - $1,500 Sold Out! Platinum - $2,000 Sold Out! Item Sponsors (Notebook, Lanyard, Tote-bag) - $2,000 Sold Out! Internet Sponsor - $2,000 Sold Out!